Epitomizing the rock concert as spectacle in the 1970s, KISS merged infectious metal riffs and glam-rock imagery more fully than any band to strut the stage. The glitz, make-up and pure musical fury climaxed in 1977 when KISS, having just been named the “most popular band in America” in a Gallup poll, flew to Japan to perform five sold-out shows at the legendary Budokan arena, breaking the record of four capacity concerts that was held by The Beatles. 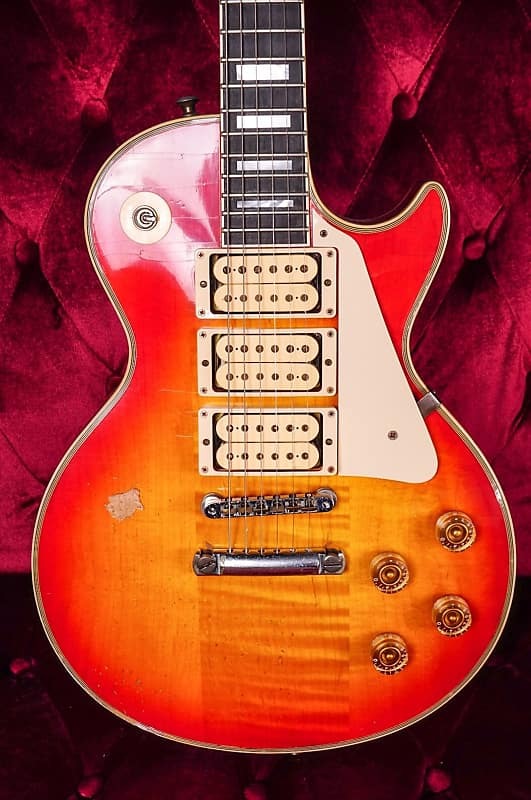 In his white-and-silver “Space Ace” makeup, lead guitarist Ace Frehley strutted the Budokan stage like he owned the world, laying down signature riffs from hits like “Rock and Roll All Nite” and “Detroit Rock City” on a three-pickup 1974 Gibson Les Paul Custom that would instantly be the object of desire of every aspiring teenage rocker the world over. 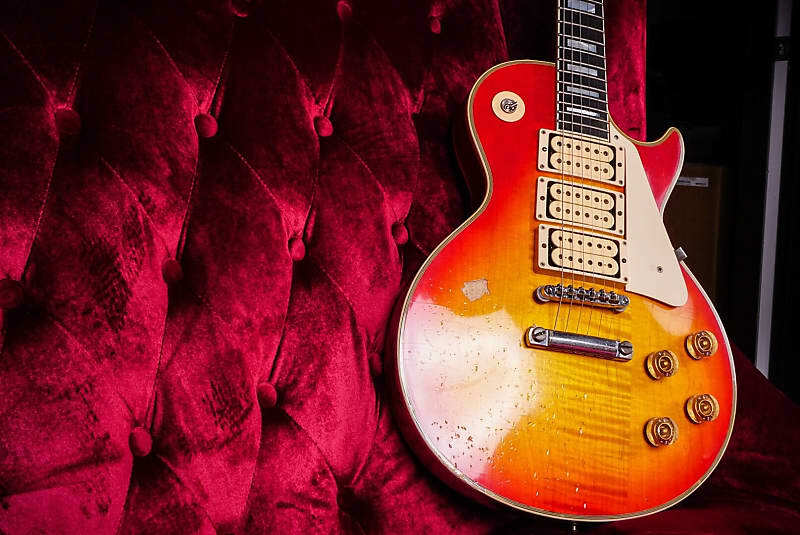 Bringing this iconic Custom back to life for the mere mortal guitarists among us, Gibson USA announces the release of the Ace Frehley “Budokan” Les Paul Custom. 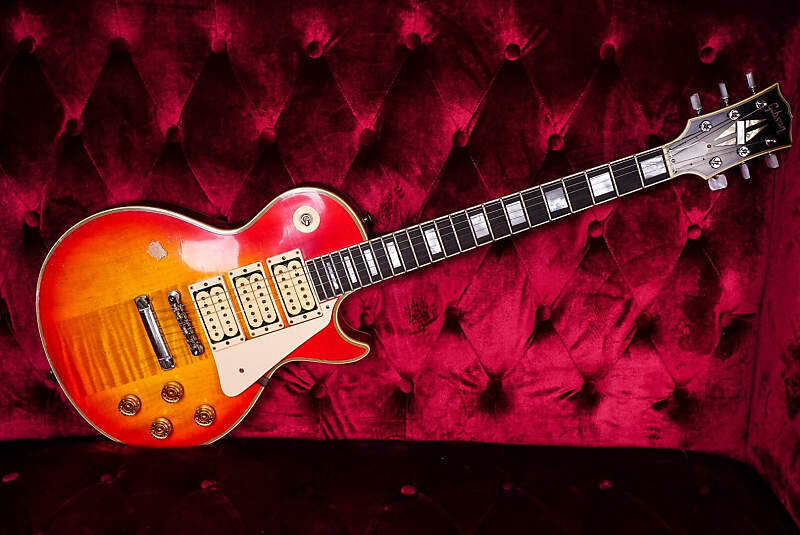 With its luscious Cherry Sunburst nitrocellulose finish, traditional Les Paul Custom inlays and appointments, and three super-charged DiMarzio humbucking pickups, this guitar is the spitting image of Frehley’s original in looks, feel and tone, and it’s ready to rock you all night long. 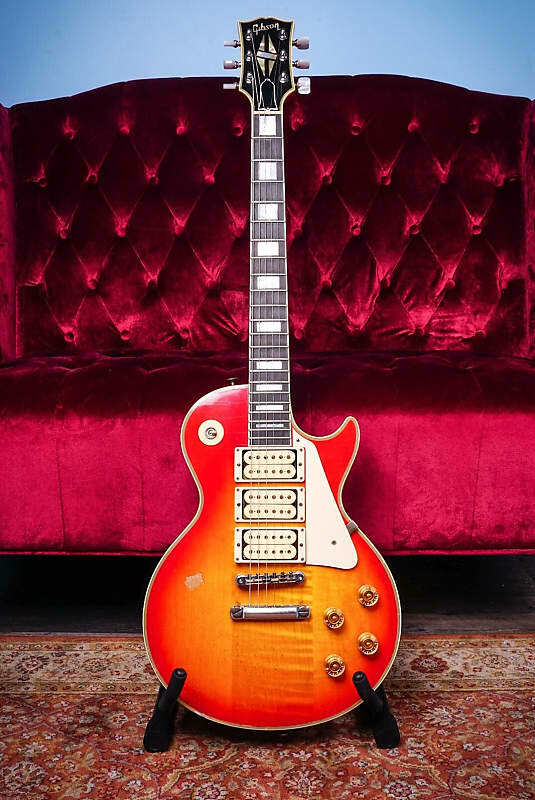 The Ace Frehley “Budokan” Les Paul Custom is crafted with the traditional ingredients of the Les Paul Custom circa the early to mid-1970s. 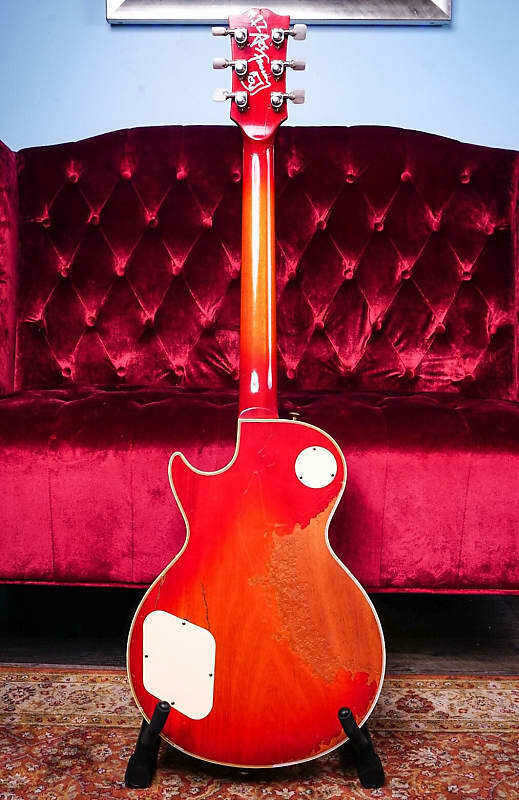 Its carved Grade-A maple top is joined to a Grade-A mahogany body that is weight relieved to reduce the load and enhance resonance. 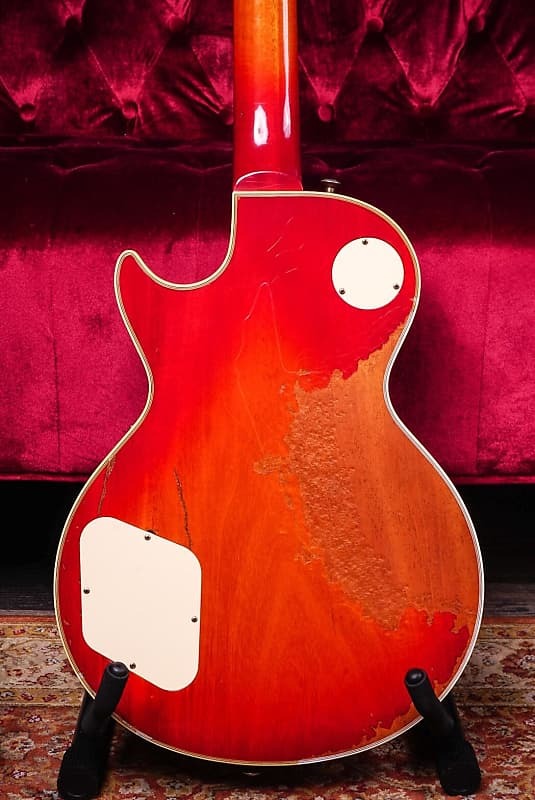 This classic tonewood pairing gives you the blend of maple’s snap and articulation with mahogany’s depth and warmth, cornerstones of the legendary Les Paul sound. 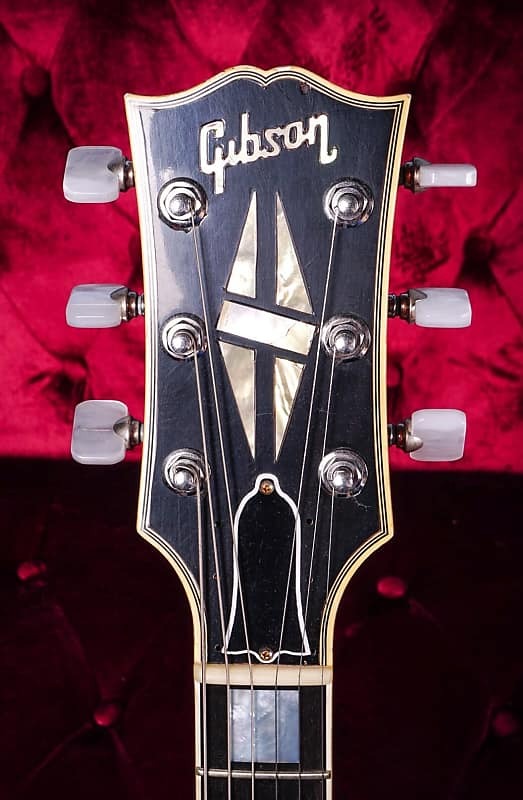 Seven-ply white-and-black body binding enhances the Custom, as do the neck’s acrylic pearloid block markers and the headstock’s multi-ply binding and split-diamond inlays. The quarter-sawn mahogany neck is carved to a traditional slim, yet rounded, profile that measures .818” at the 1st fret and .963” at the 12th, and is topped with a fingerboard made from renewable Richlite®. A fabricated material composed of cellulose fiber and phenolic resin, Richlite® offers the constructional and resonant properties of fine hardwood, but with improved durability, for a superb playing feel. 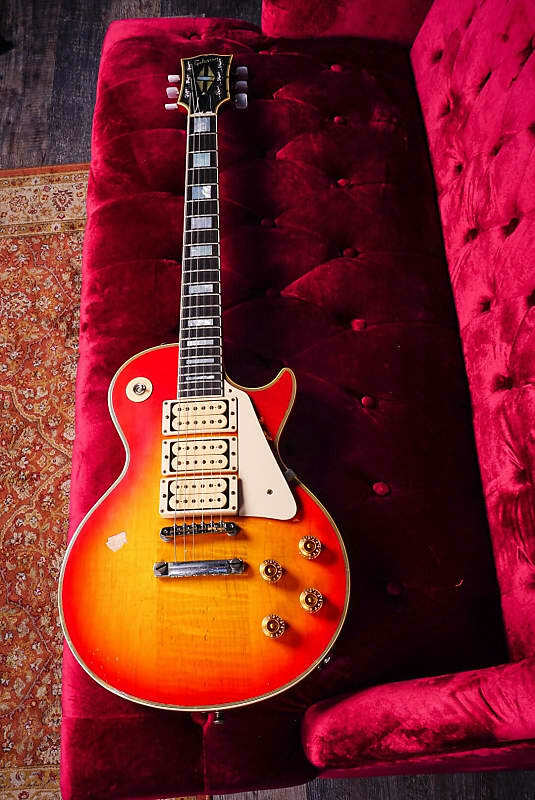 In the image of Ace’s original guitar, the Ace Frehley “Budokan” Les Paul Custom from Gibson USA is loaded with three period-correct, double-cream DiMarzio Super Distortion pickups for maximum rhythm crunch and lead tones of unparalleled fire and fury. 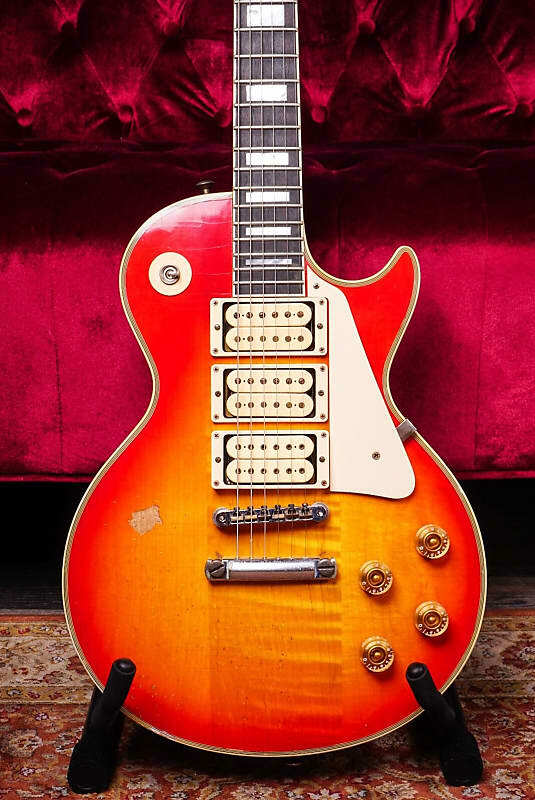 To maximize the sonic versatility of the traditional three-way toggle switch and four-knob control section, the guitar is wired to select the neck pickup alone in the switch’s upper position, both middle and bridge pickups in the middle position (sharing the lower volume and tone controls), and bridge pickup alone in the lower position. 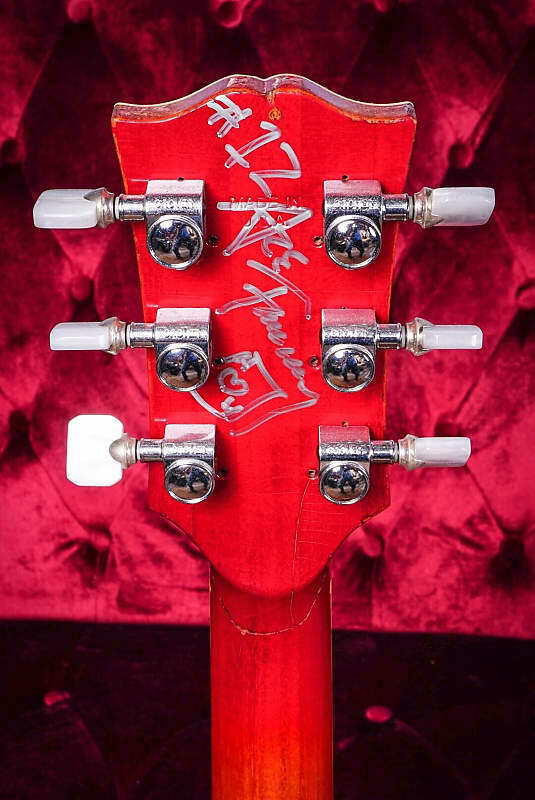 Hardware includes the classic pairing of chrome Tune-o-matic bridge and stopbar tailpiece for optimum sustain and precise intonation, with Ace’s modification of Grover™ tuners with pearloid “banjo” buttons. 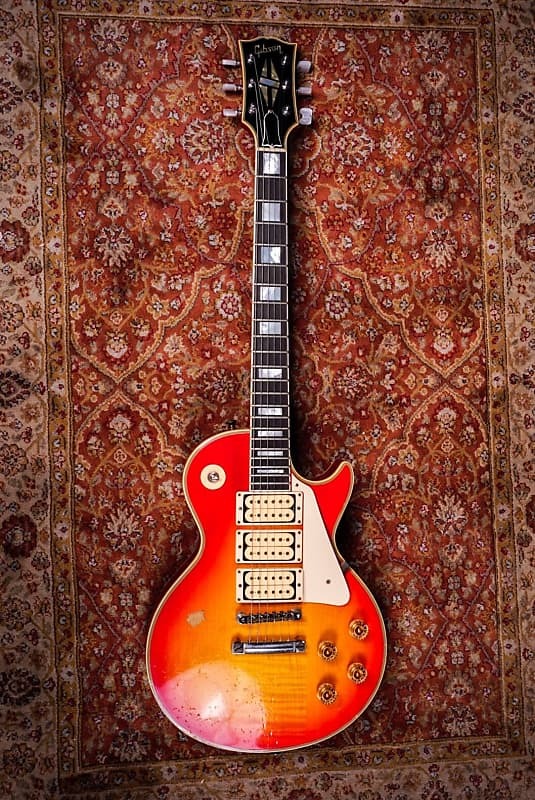 Strap it on, and it’s your own slab or raging glam-rock excess, as well as the perfect Les Paul for any breed of heavy rock and traditional metal riffing. We do not accept returns from international buyers. Due to the nature international shipping and each country having their own customs fees and regulations, we also can not guarantee nor estimate ETA's on international shipments. Sound 4 Less is not responsible for any custom fees or tariffs imposed on anything incoming to your country. Please consult with your local customs agent the amount for any information concerning customs fees and tariffs.